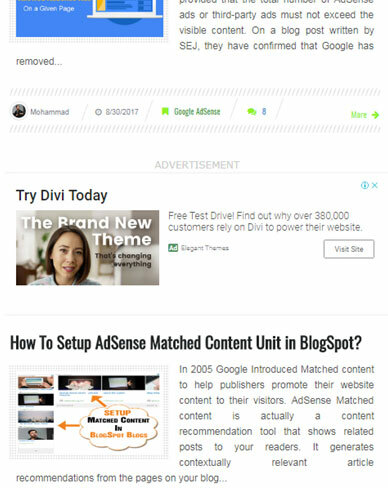 How To Add AdSense In-Feed Ads To Blogger? This tutorial will guide you with how to create Native In-feed Ad units in blogger and where to paste the In-feed ad unit code in a blogspot template to monetize your homepage and label pages. Native In-feed ads are a new ad format that you can place inside your blogspot feed (i.e. homepage and label pages) to increase your AdSense earnings without effecting the user experience. In-feed ads are called "native" because you can customize them easily to match the look (UI) of your blog content. Since Google has removed its maximum allowed Ads per page ad limit policy since August 2016. You have a great opportunity to monetize your site with native ads. 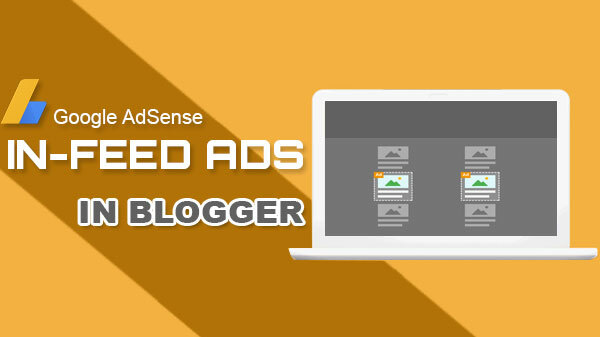 Lets learn how to add AdSense ads between posts in blogger! 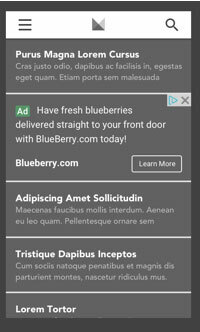 What Does "Feed" Refers To In In-feed Ads? Most publishers are confused with the word "Feed" in this newly introduced native In-Feed ads. It surely does not refer to a web syndication feed such as RSS Feeds or JSON Feeds. Feed simply refers to the stream of content on your site that a user can scroll through. A blog feed is the list of items or blog posts which repeats itself one after another on homepage or category page. The news feed on your Facebook account shows you the list of latest updates from your friends and family. Similarly the blog feed inside a blog shows the latest blog posts published on a specific category. To decide which layout performs better on your web page, make sure to choose one that matches the look and feel of your site. If your blog feed shows featured image on top followed by post title and post description or summary then choose this layout type for your in-feed ad unit. If in case your blog feed shows featured images aligned to the left side of the content, then go for this layout. If your blog feed shows headline at top of featured thumbnail and description snippet then go for "Title Above" layout. If you are too worried about your blog speed and you display only text on homepage and category pages instead of featured thumbnails then this ad layout best suits you. 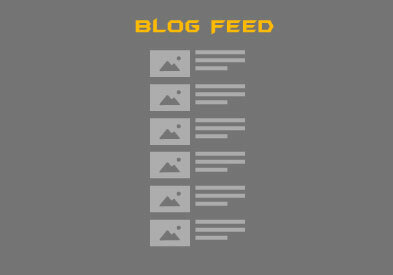 Depending on the layout of a site, content listings inside a blog feed can be shown vertically, horizontally or even inside a grid layout. Following is an example of Text-only In-feed Ad on a mobile screen. What are the Advantages of Using In-feed ads? 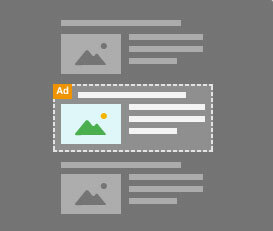 Monetize new ad spaces: You can now show user friendly ads inside your blog feed on homepage and category pages. In-feed ads between your blog posts on index pages can surely drive you more clicks and ad impressions. Offers better user experience: They look identical to your content and blend perfectly to your layout design, thus engaging your visitors more without destroying the look and feel of your site. Increases mobile ad revenue: Due to their fluid layout, in-feed ads fit perfectly in small screen sizes thus bringing you more ad clicks on new ad spaces. Since they blend to your layout better compared to other ad units, In-feed ads could bless you with high CTR in mobile screens. 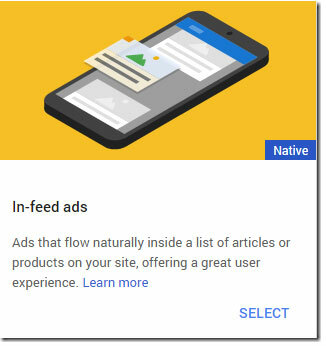 How To Create a Native In-feed Ad Unit in AdSense? To start showing In-feed Ad units inside blogspot feed, you will first need to create this new ad unit inside your AdSense account. Select a layout (out of the four available) that best matches your blog's feed layout. Give your In-feed ad unit a name so that you could track its performance later using this name/ID. 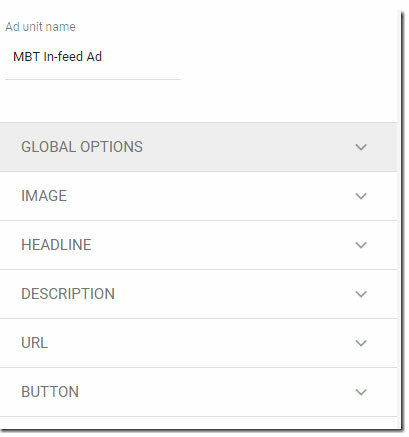 Customize your In-feed Ad unit by changing the settings for font, border color, background color, Image alignment, headline position, description style, URL, button etc. Full details on this page. Now proceed to your blogger dashboard and follow the instructions discussed below. How To Add In-Feed Ad units Between Blogger Posts? You can easily paste the In-feed ad code in a blogger theme to show native ads between any two blog posts. Feed inside blogspot blogs is shown only on index pages, which includes all your archive pages, category/label pages and the homepage. Note:This method works only for blogspot Simple themes or older which fall under the category of version 1. This method will not work for latest blogspot themes which are version = '2' and are called Contempo, Soho, Emporio, Notable themes. Blogger has removed the b:loop tag from version 2 and uses server side scripting to populate the feed list. You can hire our services if you want to show in-feed ads in latest blogger themes. Replace "PASTE ADSENSE CODE HERE" with your In-Feed Ad unit code provided by AdSense. The above code will now start showing a single In-feed ad on your homepage and two In-feed ad units on your label pages and archive pages. 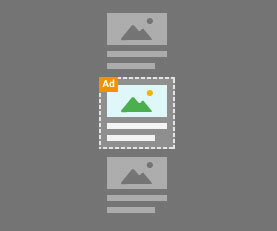 count==1 : The first ad will be displayed right after the first blog post on your blog feed. 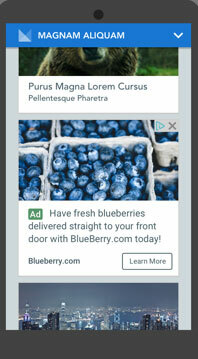 count==2 : The second ad will inserted right after the second blog post container. Do Not Format Content to Mimic In-feed Ads! Although AdSense has given you a free hand to insert in-feed ad units inside your blog feed but publishers are not allowed to format the in-feed ad unit in a manner that it may look exactly similar to your blog content. You must keep some difference between your content and in-feed ads, in order to avoid accidental clicks which are against AdSense policy. FORMAT MIMICKING: Publishers may not implement Google ads in a manner that disguises the ads in any way. For instance, publishers may not format neighboring content to look similar to the ads, or make ads look like games or forum posts. I know that really sounds terrifying, therefore to be on a safe side. 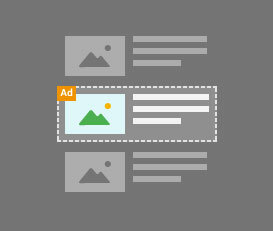 I have also designed an Advertisement label that will always stick to the top of In-feed Ad units to inform the readers that they are viewing an Advertisement. This will neither effect your user flow nor cause too much damage to your ad look and feel. If in case you are sure that your ad looks different from your content like it does on MBT then you can surely remove that ad label by deleting the following code from the code I share above. How To Track the performance of In-feed ad units in AdSense? Click the Common Reports > Ad units . Select your In-feed ad units. 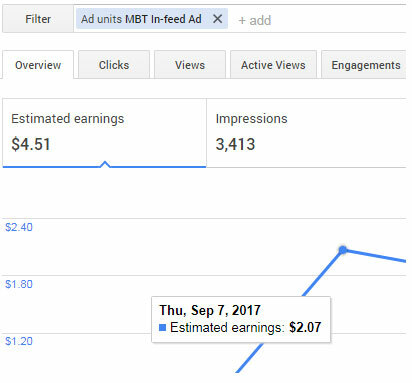 See the ad impressions and clicks it has made you over last 7 days. You can then compare the in-depth data report of ad impressions and ad clicks with other ad units to see how it is performing. 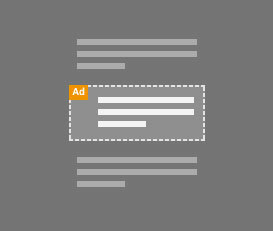 Start Showing In-feed Ads Between Blogger Posts! If you need any further help on how to add these native In-feed ads between posts in blogspot blogs then feel free to leave your queries in the comment box below. In my next tutorial I will guide you, how to setup In-Article ad units in blogger and how to put these AdSense ads in the middle of blogger posts. If in case you have missed our tutorial on how to add matched content units in Blogger then do give it a read out! nice article Muhammad if i work honestly it means my AdSense account safe? Do we need to implement it for Copmo as well ? please i will love to display the infeed ads every after 3 post on my blog.